"John's the real deal. During our first appointment with John, he stated that our condo would sell fast -- within 6 days we received a cash offer that was 96% of list. It was amazing. We would like to thank John's entire team. The unit was staged beautifully. The pictures and marketing material were professionally done. From start to finish -- John and his team were top notch. I'd recommend John to anyone looking to sell in the Barrington-Palatine area and I'm certainly going to use John's services when I sell my next house." "When we wanted to sell our home in Lake Barrington, we thoroughly vetted local REALTORS and were very confident choosing John. Throughout the listing and selling process, he was extremely thorough and clearly understood the local market. We ended up receiving a solid offer in just four days, and closed on time and at a price that was very close to John's recommended listing price. If you are selling or buying a home in Barrington, John Morrison is the real estate broker we recommend without any hesitation." "John is simply THE BEST realtor. He is extremely professional and knows how to get a deal done. John knows everyone and it is obvious why he is the top producing broker in Barrington every year. I recommend John to all of my friends and family." "John has been our family realtor for years. We have always had a great experience. His knowledge of the market and expertise made the process quick and productive. You will be in good hands!" "John has done great work for me. His professionalism and attention to detail is appreciated." 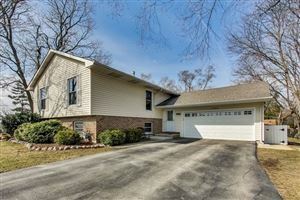 "My wife and I worked with John on the successful sale of our North Barrington home. We found him to be very professional and easy to work with." We hired John to represent us for both the purchase of our new home and the sale of our old home, and are very happy with the results. John made sure we found the right home at the right price and encouraged us to keep looking until we found it. When it came time to sell the old house, John provided specific guidance on how best to prepare the home for sale and made sure we didn’t spend money on things that didn’t matter. When negotiations hit a snag John stepped up did what it took to make the deal happen, and was actively involved in the entire sales process through closing, providing valuable guidance along the way. John was able to successfully close on the sale of our home which was an extremely challenging assignment due to condition of property and the nature of the transaction. John kept us well informed throughout the process and was able to gain more exposure to the property due to the large presence he has in the community. In addition, the technology his team uses to market the property and provide us with instant feedback on showings is fantastic. John Morrison helped us sell our home in Deer Park due a job change requiring a relocation to the East coast. John’s professionalism, knowledge of the area, and well-established reputation made it easy for us to decide to use him as our listing agent. With all of the changes in the real estate market over the past 5-6 years, we knew that selling a house would present unique challenges. John was respectful of our opinions, but at the same time, honest and realistic about pricing and marketing strategies to ensure a quick sale. He was able to highlight the positive aspects of our home and work with us on establishing a fair price. There were times when we got discouraged throughout the process, but John always remained positive, calm, and enthusiastic. If we had questions or concerns, John’s responses were always prompt, concise, transparent, and accurate. Ultimately, we sold our house within 60 days. We listed our home with John after he came highly recommended by close friends of ours. He did a great job from start to finish. John was always quick to respond to our questions any time day or night. He was always looking for buyers and not just waiting for someone to come along and make an offer. In the end John sold our house for a price we were happy with. He never tried to cut corners to make a quick sale. John gave us constant feedback regarding our asking price and any updates he felt would help us sell. If we ever decide to move again John will be our Realtor. 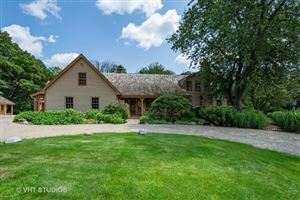 When we started our house search in Barrington, we did not know much about the area at all. John was great on multiple levels. He took our wish list and found several houses that matched. Additionally, he explained to us the different areas of town and the benefits of each. He knows the area and the market incredibly well. We found an amazing place in the heart of Barrington and couldn’t be happier. We have been in our house 1 ½ years. During that time, John has been a great resource to us. He has given us wonderful recommendations on everything from painters to plumbers and he has answered any questions we have had. My wife, Alice Jay Tate, and I first met John at an Open House in Barrington. At the time we were considering purchasing another investment property to lease. We had worked with another agent in Barrington who failed to return calls and give timely advice. In contrast, John has always been a great resource. With his help we have rented properties to his clients as well as sold and purchased rental properties in Barrington. He is a wise and solid professional. We will use him again and again. I can give no higher recommendation. You will be very happy to collaborate with John for any real estate transaction. I first met John helping us finding a new rental apartment in 2008. It was an awesome experience; he gave us all the advice possible renting from a private person. He checked out our new landlord to see if there is any trouble in future, like foreclosure. In 2009 we approached him again looking for advice buying our first house. He made it such an easy and smooth ride into our first home it was really incredible. With all his the connection throughout the real estate business, he recommended us the mortgage broker and the home inspector which were both awesome too. Without John and his network we wouldn’t enjoy Christmas 2009 in our own house! Thanks John you are great guy to work with. We have been working with John for over a year looking for properties. John is extremely service oriented and knowledgeable. He understands exactly what we are looking for and he helped us find a property after looking at many many homes.